"Orcon is making 2014 faster, and we wanted you to be the first to know.We’re pleased to tell you that we will be launching VDSL plans in January next year. VDSL uses the same copper lines as standard ADSL broadband, but with the added bonus of faster speeds. 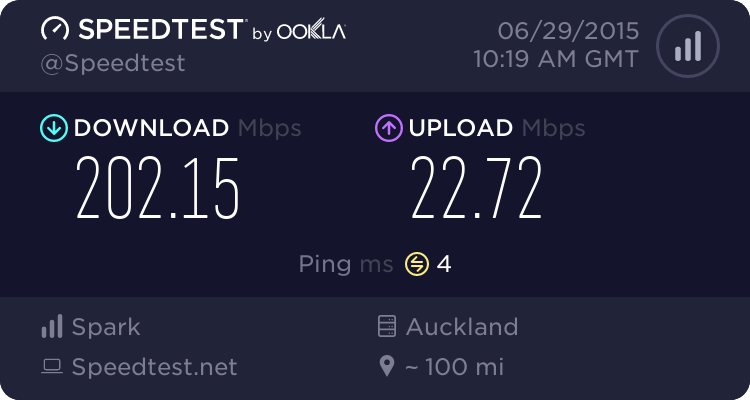 Although it’s not quite as up there in the speed stakes as UFB, it is available to more houses across the country (about 65% nation-wide), so it may be a great option if your house is unable to get fibre yet. To check if you can get UFB with Orcon, click here. Although we can’t give you all the juicy details about our VDSL launch, just know that we will definitely keep you updated." For those of us who are in an area where the UFB rollout is still to be scheduled this is an interesting announcement. Equally interesting is whether the Genius is 'VDSL-capable'. OldGeek: For those of us who are in an area where the UFB rollout is still to be scheduled this is an interesting announcement. Equally interesting is whether the Genius is 'VDSL-capable'. No it is not. Hence we are trialling a different router for VDSL connections. Hopefully it will have OpenWRT or similar. The current Genius is pretty poor from a prosumer router perspective and is one of the reasons I won't take Genius. I hope i can get VDSL. No date set for UBF in my street. Anything has to better than the modem/ata that I currently have attached to my router atm. Dam. I appear to be in the black hole. Says ADSL only. Ramjet007: Dam. I appear to be in the black hole. Says ADSL only. Tell me about it. 2 houses down, or across the road, I could get VDSL. The house behind me (I can spit from my house to the boundary) gets UFB. As long as it's unlimited. HTTP 404 Sarcasm not found. Years behind..... but good that there will be more VDSL ISP options. Ragnor: Years behind..... but good that there will be more VDSL ISP options. You can blame Chorus's unrealistic initial pricing for that.